Cook the tempura shrimp as instructed (I usually do 10 min at 400°F). Slice the cucumber in half lengthwise. Use a spoon to scoop out the seeds of the cucumber. Chop the tuna into 1/2-inch pieces. 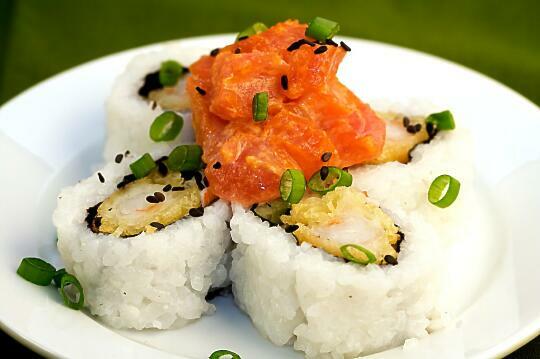 Mix the tuna, mayonnaise, and Sriracha sauce. 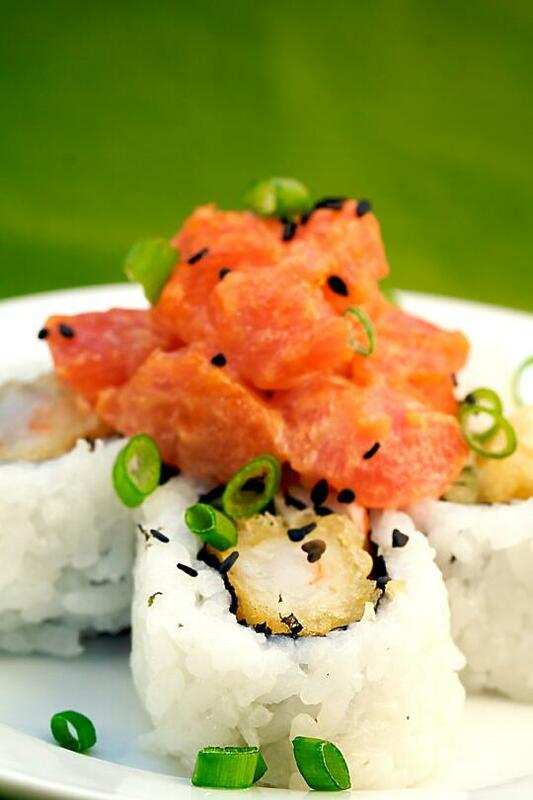 Roll the sushi inside-out, using two pieces of tempura shrimp, a stick of cucumber, and some imitation crab as your fillings. 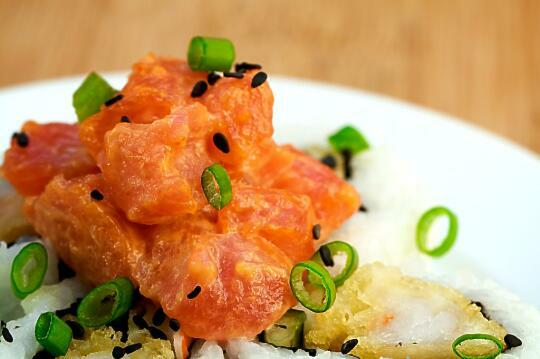 Top with the spicy tuna mix, and sprinkle with green onion and sesame seeds.